After dipping my toes in the western fashion industry this past year and a half, it's become rather apparent to me that we all share at least one thing in common- our heritage. 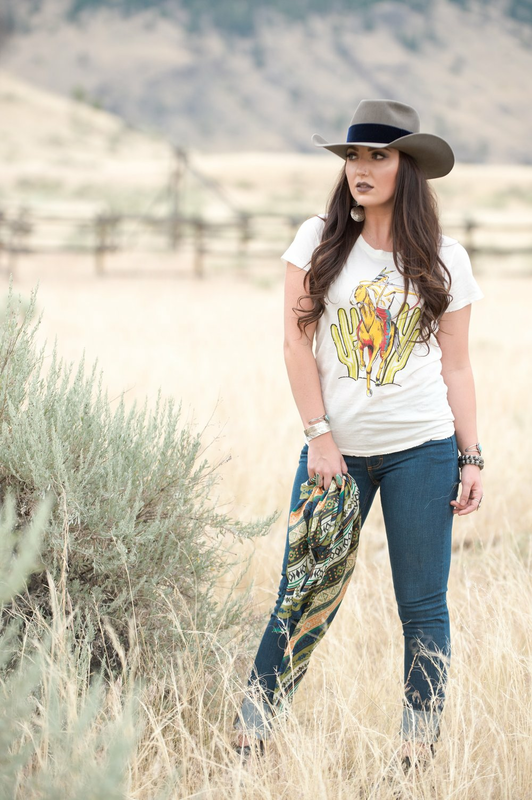 Whether you grew up on a farm in Canada, or a cattle ranch in Texas, or even on the rodeo trail traveling across country, we all share that little piece of western heritage that influences the western fashion industry to this day. I myself have found that as different as our cultures may be, fashion can always portray the roots of who we are and where we came from. Kimes Ranch has built a company based off of our western heritage and offers a wide variety of apparel that is suitable for every individual. I grew up riding and competing at rodeos but still had a love for fashion at quite a young age. Being able to blend the two together has been beyond a dream come true, and I can't wait to show you what I put together featuring just a few amazing pieces. Whether you’re working cows, hanging out at the house or getting ready for a night on the town, Kimes clothing can be worn for literally every occasion. And if you’re anything like me, then being on the go is a constant battle making it a strategic pain figuring out what to wear, so there’s nothing better than transforming an outfit you already have on. I love adding a pop of turquoise or colorful wild rag to turn a basic look into bold. Probably one of my biggest kept secrets when it comes to looking put together without the effort, is not so much focusing on the outfit, but the accessories I can wear with it. I'm all about jazzing up a basic outfit with a little hardware and especially a good hat. Layering up jewelry and throwing on a concho belt can also do some serious upgrading to a mediocre outfit. Plus, who doesn’t love a little extra something when it comes to accessories. I’m a turquoise hoarder and I like to think that turquoise goes with everything, and with every outfit I wear there’s always that little bit of western influence that keeps me grounded. High fashion might be picking up the western influence but to me it’s so much more than a fashion statement. Western heritage inspires me on a daily basis and I hope to never lose that in my personal style. Don’t ever be afraid to let your western influence shine through fashion and stand out from the rest. Kimes is the perfect western brand that can give you western fashion effortlessly and style that will never fade.